Hi everyone! It's Janet from SugarShine Designs and I'm bringing you a card that will really wow your recipients! It's called the Twist Pop-Up card and it's an eye catcher. Today's project continues to feature some of the new dies that were released in the GIGANTIC baby release that happened earlier this month. 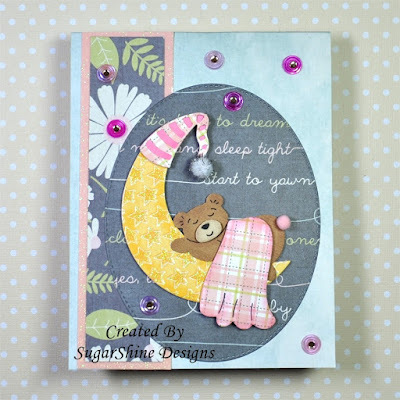 It has been so much fun working with the new release and many of these wonderful dies! My card features six designs highlighting all things baby. I've geared it for a girl but of course you can always change the colors to be gender neutral or boyish. This card has a surprise when you open it. 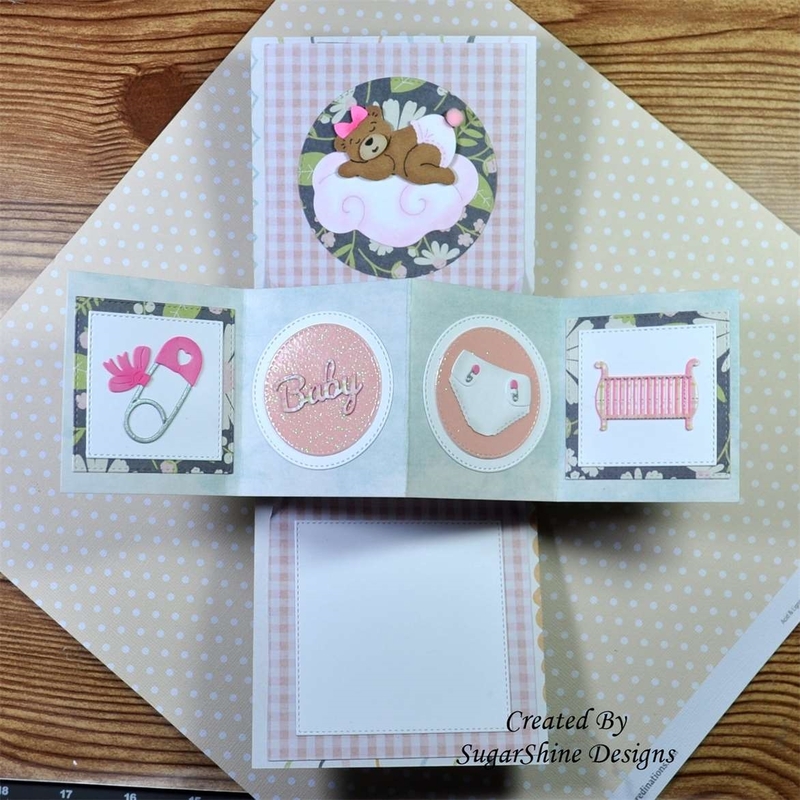 Describing it isn't adequate so please go to the link below for the video showing the effect and how I decorated this fun card base. I've posted another video that shows in detail how to make the card base itself. I'm confident you will be able to make this card after you watch it but I will answer any questions you leave for me there. Thanks for joining me on this beautiful Sunday morning. Enjoy the rest of the weekend! I've seen these twist pop-up cards before and have been wanting to give one a try. You may have pushed me into making one. Your card is just adorable! Thanks for the video instructions. Great video and super cute card! Absolutely beautiful, Janet!! I love the design, and your videos are fantastic! Great artwork, Janet!! How nice is this cute card. Well done! I hope you do! It's simple once you get the hang of it. Don't be intimidated in the slightest.